Dr. Schwab is Director of Interventional Radiology, and a 17-year member of the hospital medical staff. 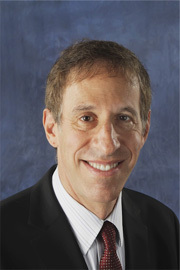 Dr. Schwab was educated at the University of Pennsylvania and received his medial degree from Pennsylvania State University College of Medicine. He performed a medical internship at George Washington University Hospital, Diagnostic Radiology Residence at Hahnemann University Hospital, and completed his Interventional Radiology Fellowship at GWU. Prior to coming to Northern Virginia Radiology Consultants, Dr. Schwab was an Assistant Professor of Radiology at George Washington. While there, he did early research in small vessel thrombolysis for peripheral arterial disease, and hepatic artery chemoembolization for hepatocellular carcinoma. He remains as Associate Clinical Professor of Radiology. At NVRC, Dr. Schwab’s special interests include endograft placement for abdominal aortic aneurysm, peripheral arterial disease, and hepatic artery chemoembolization. He also developed the first hospital-based program in cardiac CT angiography in the metro region.